I really dislike rich text formatting where you need to use a mouse to format the text. Like in Microsoft Word, Apple Pages and Google Docs. And that is only one reason why I prefer Plain Text. Some users has asked me why I prefer using plain text and Markdown specifically, so I did this short Plain Text Primer to explain why. 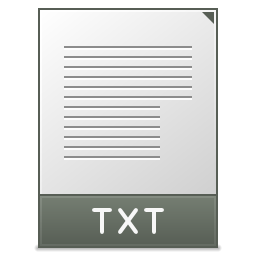 A plain text file only includes text with no additional formatting. You can open these files in any text editor or word processor on any device and OS and they will look the same. Sure, you can do some cool things with rich text formatting, like adding charts, tables, links and images, but there is one thing you can’t do: Guarantee that it will be readable ten years from now. With plain text you can. Plain Text is portable, the files are much smaller, and doesn’t take up much storage space in Cloud services like DropBox, iCloud or Google Drive. And you can move and upload them very fast because of that. Plain Text is universal, it doesn’t matter if you are a Mac user, Windows user, iOS or Android user, plain text files is compatible with all devices and platforms, and because of that there’s no broken formatting or files that cannot be opened. So it ensures that you will always have access to all of your words, wherever you are on whatever device you use. All in sync easily through cloud storage if you want. So you can easily start working on a plain text file on your Android phone for example, continue working on the same file on your iPad, and complete the work on your Windows PC or Mac. Or the other way around of course. And still without no broken formatting or files that can’t be opened. The perfect companion for working with plain text files is the very simple, easy to learn [Markdown] markup language. The syntax is so easy to learn that you can hardly call it a syntax at all. And the beauty with Markdown is that it is not just easy to write, it is very easy to read too. It’s a very natural way of writing. I can guarantee you that you can learn to use Markdown in a couple of hours only. Then you can do all the simple formatting like bold, italic, headers, links, lists, quotes and even images, directly in plain text. So I am completely sure that you will like using plain text and Markdown, if you just let yourself try it. It’s not hard, and there is a lot of specific Markdown text editors available for most platforms. With those you can also preview your formatting so that you can see how the finished article will look when it is published on your blog or website. You can also export form these text editors to what ever format you want, for example HTML, PDF or even Word. You can read more about some apps I recommend, and find links about Markdown here.